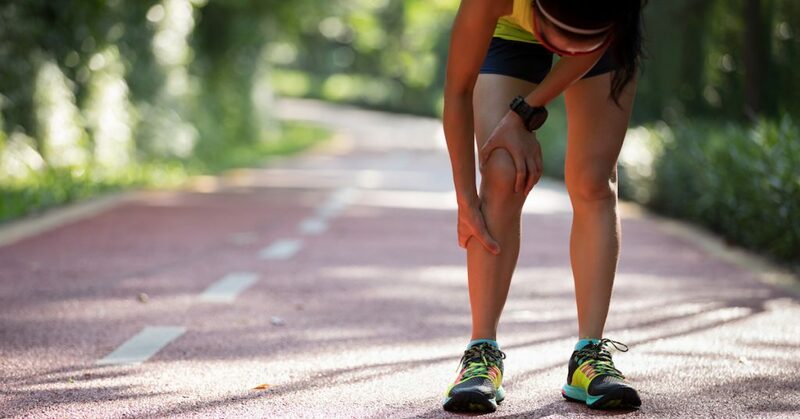 Shin splints, also known as Medial Tibial Stress Syndrome, occur when the connective tissue and muscles on the inner part of the shinbone become inflamed. They typically occur among runners, or those engaged in similar repetitive, high-impact activities or sports. Although painful, they are rarely serious, and usually get better with rest. Simply put, shin splints result from overuse, such as repeating the same movement or making sudden changes in movement. Activities that are likely to cause shin splints include running, jumping, basketball, football, soccer, and dancing. Other common causes of shin splints include sudden increases in either the intensity, duration, or frequency of workouts. Your healthcare provider will diagnose shin splints by performing a physical exam and asking a few simple questions about your physical activity. If you experience shin splint symptoms, such as swelling in the front part of one or both lower legs, or numbness and weakness in the feet, there’s a good chance you’re suffering from shin splints. Additional symptoms include a sharp or dull pain in the front part of your shin, which may affect either one or both legs. In general, shin splint pain becomes noticeably worse after exercise, or when you press against the shins. Unless a bone fracture is suspected, no additional testing, X-rays, or imaging studies should be necessary. Most shin splints will heal on their own with proper rest and care. Depending upon the seriousness of the injury, you should allow between two to four weeks for a full recovery, and only resume your usual sports or exercise routine once you’ve been pain free for two weeks or longer. Even after shin splints treatment, you’ll need to go slowly and gradually build back up to your former activity level. During the recovery period, you can remain active by doing non-weight bearing exercises—such as swimming, walking, or riding a bike—as long as these do not cause pain. Stop any activity immediately once you experience pain or discomfort. Otherwise, you’ll risk the possibility of additional injury. In extreme cases, your healthcare provider may recommend a surgical procedure called a fasciotomy. This involves small cuts in the fascia tissue surrounding your calf muscles to help relieve pain. To reduce shin splints pain, rest your legs, apply ice, and take over-the-counter pain relievers as needed. Keep your legs elevated while applying either an ice or cold pack to the injured area for 15 minutes at a time, every one to two hours. This should help ease the pain and swelling. You can protect your skin from the cold by using a thin towel. Check with your healthcare provider before resuming your usual activity. She or he may also advise you on how to prevent shin splints in the future. Certain exercises for strengthening and stretching the tendons, as well as the foot and leg muscles, may be recommended. Always make sure you warm up properly before exercise, and that you increase the intensity of exercise gradually. Wear well-fitting, shock-absorbing athletic shoes that provide good arch support. Replace athletic shoes as soon as they wear out. Ice your shins after your workout. Avoid working out on hard surfaces. Cross train, by participating in different types of activities on different days. Work with a trainer or coach to ensure a safe workout. If your shin splints don’t respond to treatment, or you continue to experience severe shin pain after a fall or accident, seek medical help. Medical attention is also necessary if you notice heat in the shin area, visible shin swelling, or experience pain while your shins are at rest. An experienced medical professional can rule out other possible complications, such as a stress fracture, tendinitis, or compartment syndrome. If needed, your FastMed professionals are available to provide shin splint expertise during extended hours, 365 days a year. No appointment is necessary. Simply walk in at your convenience. Or, to reduce your wait time, check in and register online before you arrive.